Today, the EVP, Maritime of Royal Caribbean (NYSE: RCL), Harri Kulovaara, sold shares of RCL for $828.6K. Following Harri Kulovaara’s last RCL Sell transaction on August 16, 2017, the stock climbed by 7.1%. Based on Royal Caribbean’s latest earnings report for the quarter ending June 30, the company posted quarterly revenue of $2.34 billion and quarterly net profit of $466 million. In comparison, last year the company earned revenue of $2.2 billion and had a net profit of $370 million. RCL’s market cap is $26.49B and the company has a P/E ratio of 15.65. 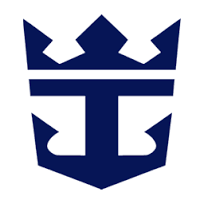 Currently, Royal Caribbean has an average volume of 2.51M. Based on 7 analyst ratings, the analyst consensus is Strong Buy with an average price target of $142.57, reflecting a 10.3% upside. Harri Kulovaara’s trades have generated a -22.0% average return based on past transactions. DailyInsider proprietary algorithm detects trades by the most influential insiders and selects attractive trading opportunities daily. To subscribe to the DailyInsider visit this page. Royal Caribbean Cruises Ltd. is a global cruise vacation company. It owns and operates global crusie brands, namely Royal Caribbean International, Celebrity Cruises, and Azamara Club Cruises. It also holds interest in TUI Cruises, Pullmantur, and SkySea Cruises brands. The company was founded in 1968 and is headquartered in Miami, FL.